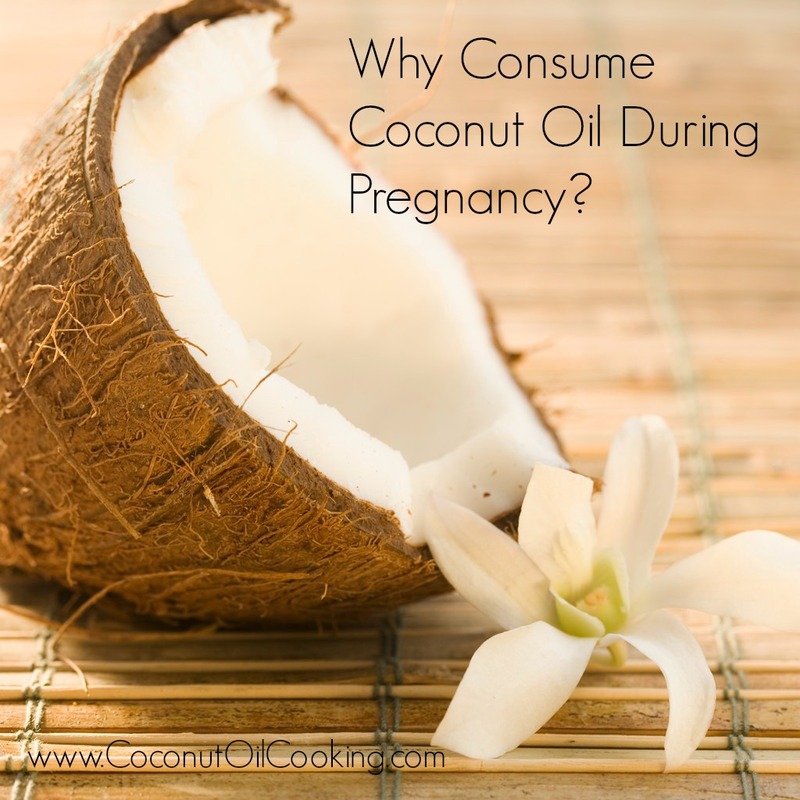 Why Consume Coconut Oil During Pregnancy? Staying active and getting the proper nutrition is so important during pregnancy. With food aversions, pregnancy cravings, and the dreadful non-stop tiredness, I know it’s hard, but so worth it for both you and your baby. Now that I’m almost 36 weeks pregnant, I’m especially focusing on incorporating healthy fats such as coconut oil and omega-3 rich foods into my daily diet, along with lean proteins, carbohydrates, fruits, and vegetables. Natural Energy – Coconut oil has helped tremendously as a natural source of energy since the medium chain triglycerides which are found in coconut oil are easily digestible and absorbed intact into the liver directly for energy. Try adding a tablespoon into your morning or mid-day cup of coffee or make our energizing coffee protein shake to help with that sluggish feeling during pregnancy. Immunity Booster – The anti-bacterial and anti-fungal properties which are found in coconut oil may help boost your immune system, which is typically weakened during pregnancy. If you do become sick during pregnancy, be sure to try my tips for fighting cold and flu during pregnancy. Dairy Alternative – For those of you who are not able to consume dairy during pregnancy, coconut oil is a great alternative. Coconut oil can be used in cooking and baking as a 1:1 swap for butter or oils and will also serve as a source of healthy fats. I recommend using an organic, unrefined coconut oil to reap the natural health benefits. Morning Sickness Relief – Morning sickness is completely different with everyone, but consuming coconut oil may help with relief. By adding coconut oil into your morning oatmeal or breakfast smoothie, nausea may be eased by balancing blood sugar levels. I make sure to incorporate coconut oil into my first meal of the day and also eat frequently to ensure I don’t end up feeling faint or dizzy. Try our healthy overnight oatmeal to start your morning off! 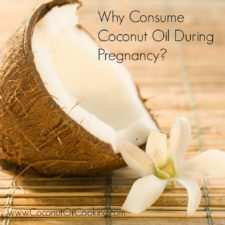 Hopefully these benefits will give you some insight on why you should be consuming coconut oil during pregnancy. Did you know that coconut oil can also be applied topically? Check out my blog for preventing stretch marks during pregnancy – I swear by this!